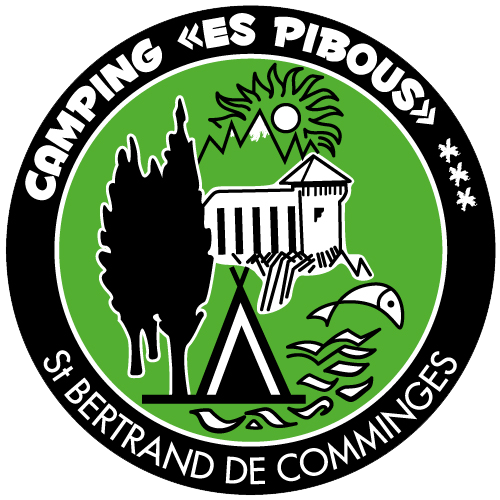 Camping Es Pibous*** welcomes you to Saint-Bertrand-de-Comminges, an ancient Roman city located at the foot of the Pyrenees, in the most south-western part of Haute-Garonne. Enjoy different activities and discover our region's rich cultural heritage. Camping Es Pibous*** is the ideal place to rejuvenate. Our 3-star camping caravaning is a family business founded over 50 years ago. We offer quality services. Es Pibous ("The Poplars" in “Commingeois” dialect), represents 80 green, flat and shaded pitches of 100 m2 each, where you can fully enjoy the fresh air of the countryside and surrounding mountains. We also offer chalet and bungalow rentals and have a service area for camper vans. Enjoy many services: outdoor swimming pool with paddling pool, play area, boules court, baby bathroom, shower room for the disabled, snack bar, small grocery store with bread and pastries. You will also find restaurants close to the campsite. A campsite where relaxation and leisure coexist. Do not hesitate to request further information about our campsite. Camping Es Pibous*** is located in an exceptional setting. Make sure to visit the many sites and monuments that bear witness to our region's prestigious history while staying at our hotel. Cathedrals, castles, caves, pit caves...., you will be spoilt for choice. Saint-Bertrand-de-Comminges, Sainte Marie Cathedral is listed as a UNESCO World Heritage Site on the Pilgrimage Route to Santiago de Compostela. The same is true for the nearby Basilica of Saint Just de Valcabrère. The locality offers a wide range of activities both in summer and winter: hiking and horseback riding in the magnificent mountainous landscapes, mountain biking, canoeing, skiing, golf, fishing, etc. Not to mention the many festivals, celebrations and entertainment that will also enhance your stay. We will make your stay a successful experience. We offer spacious, flat and shaded pitches. We have an outdoor swimming pool including a paddling pool. We offer quality services at very attractive prices. Make your reservation without further delay.